We have developed a collection of resources for pastors who wish to encourage families to commit to reading and discussing the Bible together. Resources include articles from Apostolic authors, sermons, and recommended books and websites. A promotional poster and graphics which you can adapt for your local church are available on our website.  Please consider planning a Family Bible Week for your congregation soon. Choose your preferred image format and click the download button. Stephen Coakley reminds us to make daily devotion a priority. God's Word - The Sooner, The Better, is Best! Cindy Milby shares the powerful story of Bible Quizzing's quizzing's enduring influence on her family. Kim Haney reminds us that Godly motherhood is a vital calling. Julie Long highlights the need for total commitment to God as we seek to transfer our faith to the next generation. The General Sunday School Division offers Apostolic devotional insights for families. Darrell Johns encourages families to connect with God. Bible lesson on the responsibility of parents to share the faith with their children. Ken Gurley highlights the importance of the father's role in the home. A sermon on family, faith, and friendship in the Apostolic church community. A sermon encouraging families to live out their faith in the home. Ken Gurley exhorts parents to live godly lives and maintian godly homes. Darrell Johns highlights the importance of spiritually healthy homes. 7 Steps To Being A Great Mom is a new gift book for mothers from Tom and Debra Trimble. Celebrate Motherís Mother’s Day in your church with a gift for every mother. With biblical and practical advice, this booklet will help mothers of all ages. Available at a discount in packages of 10. 7 Steps to Being a Great Dad is a new Father's Day campaign from Pastor Tom Trimble. Celebrate Father's Day in your church with this sermon and gift booklet. Pastors may order this booklet in packs of 10 to give to every father in your church. Also available is a downloadable campaign kit that includes sermon notes in PDF and Word formats, audio recording of Pastor Tom Trimble's original sermon, PowerPoint file to use during the sermon, and a PDF of the gift booklet. The new Apostolic Study Bible with study notes written exclusively by Oneness Pentecostal scholars. This Word Aflame Bible presents a convenient way to read the entire Bible in one year. Following the B.R.E.A.D. program endorsed by UPCI Children's Ministries, the B.R.E.A.D. Bible provides a selection of Scripture passages to read each day in an easily accessible format. Coordinated with the annual B.R.E.A.D. program Only $6.99 each in a case of twenty-four. This children’s version of the popular B.R.E.A.D. Bible coordinates with the annual B.R.E.A.D. program and the adult B.R.E.A.D. Bible. Selected chapters from the King James Version of the Bible are presented for kid-sized daily readings. Involve your entire family in Bible reading this year! Only $5.99 each in a case of twenty-four. A children's Bible with page decoration and artwork depicting important Bible events. Fifty-two devotions include Scripture, a short story, application, prayer, and a activity. Fifty-two devotions to help Apostolic fathers train and disciple their children. A character building coloring book. Coloring book featuring popular scenes from the Old Testament.